Scroll down for a FREE, full color guide to Construction Materials, home improvements, architecture, and more. This image-packed glossary introduces the equipment, tools, tips, techniques, structural components, and design elements involved in the construction of buildings, landscapes, and interior designs. View this diverse selection of stunning architectural forms and elegant interiors. Use this guide to help you decide which construction materials you need. Once armed with the basic knowledge of construction terms and techniques, the possibilities are limited only by your imagination. RICHARDSON ROMANESQUE: A Neo Romanesque architectural style inspired by the designs of Henry Hobson Richardson. Distinguishing features may include turrets, bay windows, gables, and pillared, wraparound porches. The construction materials used for this type of structure are typically stone and brick. 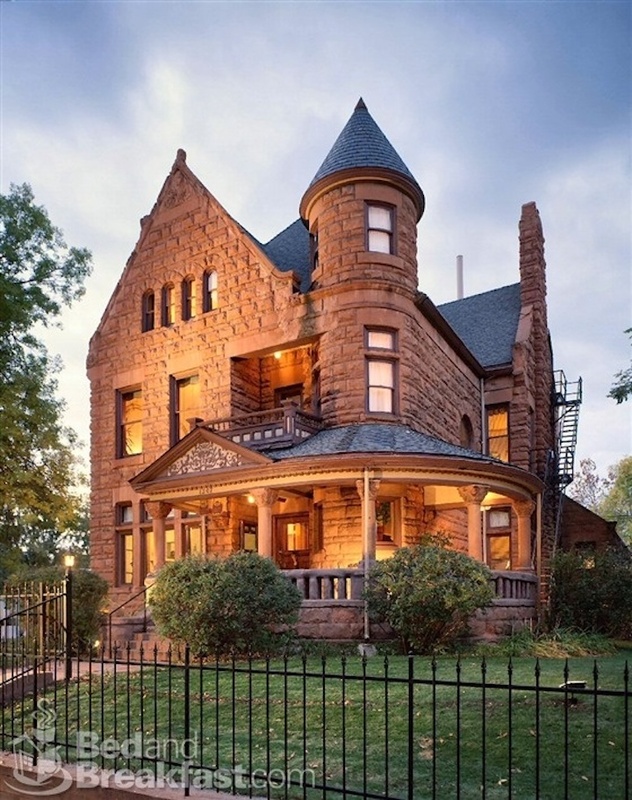 Shown below, this restored Richardson Romanesque house in Denver, Colorado, built in 1891, is now a Bed & Breakfast. Early American Architecture and vintage construction materials.